Barcelona, Summer 2003. Three women are sacrificed to an unknown purpose, skin carved with a cryptic alphabet, tongues cut from their mouths. Sent beautiful, sinister letters - clues, or confessions? - Inspector Fabregat cannot decipher the warnings within. As Barcelona explodes in revelry on the Festival of St Joan, Natalia Hernandez, flower of the National Theatre and Catalan idol, lies broken on the steps of the Cathedral. The city bays for blood, Fabregat chases a shadow-like suspect and signs that whisper of secrets beyond his grasp. Barcelona, Winter 2014. Anna Verco - academic, book thief, savant - unearths letters hidden for centuries from a lightning-struck chapel in Mallorca. What they reveal compels her and Fabregat to reignite the Hernandez investigation. Every page she turns conceals a coded message; every street she treads leads her deeper into the labyrinth. 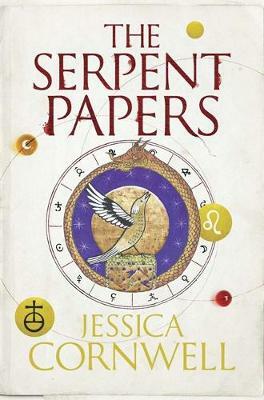 As Fabregat baits her with suspects, and threats darken her steps, Anna hunts her own prey - the book that began it all, a medieval revelation written in the language of witches and alchemists: The Serpent Papers. Anna believes this book will unlock the mystery. She does not yet know she is the key.